If you cannot stay, be back at the Brandt Centre NO LATER than 11:30am to pick your Cadet up. The ceremony ends approximately 11:20am. Be advised that with Remembrance Day, Stadium construction and other shows that weekend, getting in and out of the parking lot after 11am will be challenging. 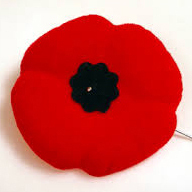 The four Cadets going to the Cenotaph are to meet at the Royal Canadian Legion for 9:30. Ensure you bring your Cadet Parka’s, toque, black gloves and wear extra socks as it will be cold out tomorrow morning. As with the Brandt Centre, the service will end shortly after 11:00am.